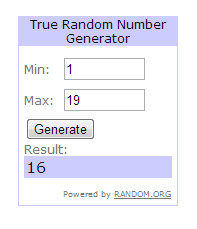 Comment number 16.....which was Sarah from Catching the Magic! One of our Wheelie Bag friends waiting here is just itching to come home to you Sarah! Here are all the Wheelie Bag design options so email me and let me know which one looks the most lonely and in need of your love and attention! Knowing that Sarah and her family have a big adventure ahead of them when they relocate to Santa Barbara, California in a couple of months' time, their new Wheelie Bag friend is sure to lead an exciting life! Yay congrats Sarah! it was a fab review Meghan!